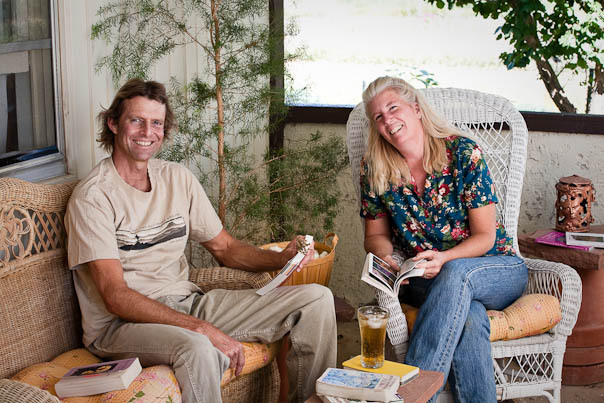 Desert Canyon Farm is owned by Chris and Tammi Hartung. The farm has been certified organic since 1996 and strives to be as earth-friendly as possible both in our work and in our personal lives. We are a United Plant Savers Botanical Plant Sanctuary, a National Wildlife Federation Certified Habitat, a Xerces Society Pollinator Habitat, and we are part of the Colorado Birding Trail with the Division of Wildlife, so birders and wildlife watchers can visit the farm to do a bit of bird-watching by appointment. At Desert Canyon Farm we grow more than 800 varieties of potted herbs, heritage heirloom and ethnic vegetable plants, all kinds of berry plants, heirloom fruit trees, unique and native perennials, wildlife habitat plants, edible flowers, and other unique kinds of plants, which are primarily sold farm direct retail during the spring months and wholesale to independant garden centers year-round. We also contract grow perennial seed crops for Jelitto Perennial Seed Company. We host school groups for farm tour walk-abouts and mini workshops and do tours by appointment for other kinds of groups. We feel it is really important that the farm serve it’s local and global communities through its own example of being as earth-friendly as possible. In spring, from mid-April thru the first weekend of June, we open the farm for Open Farm Days. People are invited to visit the farm Monday thru Thursday (closed on Fridays), between 9am and 4pm. This is a chance for folks to visit the farm, enjoy the gardens, do some wildlife-watching, bring a picnic, take a free workshop, and shop for plants in our Farm Stand Store. Please visit the Open Farm Days page of this website to see what specific dates the farm will be open this year, and to learn more details about visiting Desert Canyon Farm. The farm is home to Chris and I, our farm dog Shrek, three spoiled cats (Sadie, Pal and Willow), along with a wide host of wildlife. It is our sacred space, the place we call home. Our email address is dcfhomeplace@gmail.com Please know that we read every email message, but we do not respond back to every message. This is not because the emails aren’t important, but in all honesty it is because life growing plants on the farm keeps us pretty busy without a lot of time to spend at the computer. Thank you for understanding. 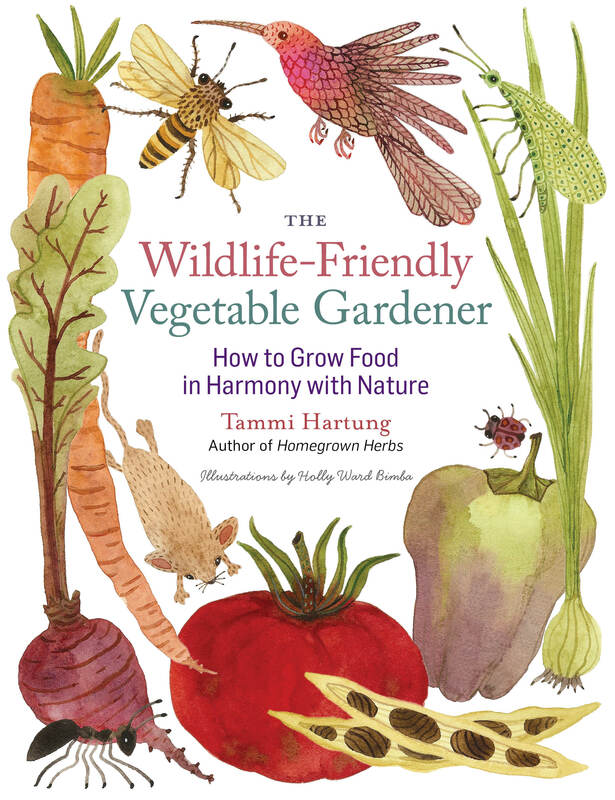 Tammi is the author of Growing 101 Herbs That Heal, published in 2000, but now out of print (look for it in used book stores and libraries), Homegrown Herbs, published in February 2011, The Wildlife-Friendly Vegetable Gardener, published in December 2013. 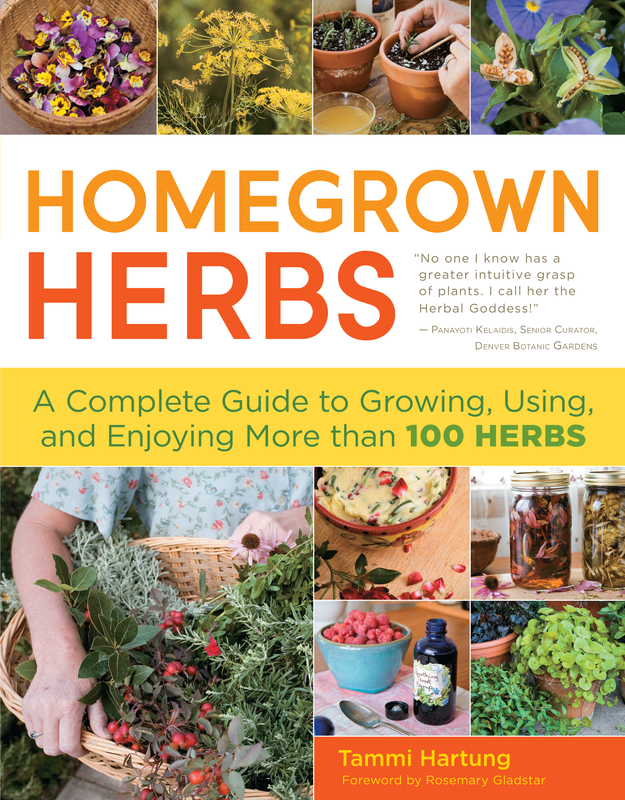 Cattail Moonshine & Milkweed Medicine, published in September 2016. They are published by Storey Books Publishing and are available in quality bookstores. You can also order books directly from Tammi. Occasionally, we are able to take a much appreciated day off. 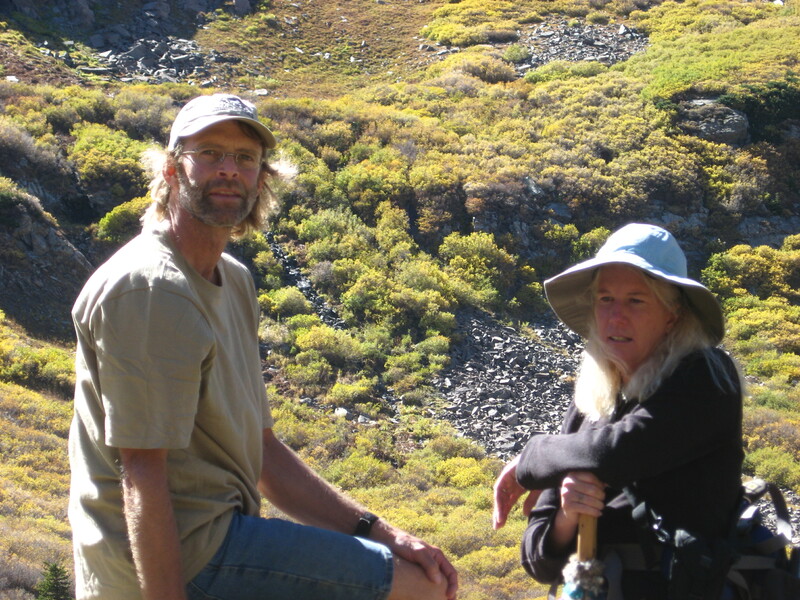 One of our favorite things to do on such a day is hike in the Sangre de Cristo Mountains, which are about 1 hour from our farm. These mountains are filled with trails that follow lush creek habitats and many lead to alpine lakes. The trails are never crowded, which we really like, and often we are the only ones on a given trail. This photo is taken at Megan Lake in September 2010. The autumn colors were stunning! !